A former promiment Taliban official working on reconciling Afghanistan’s insurgency with the government was gunned down by unidentified assailants on his way to work in western area of the capital, Kabul. Reports say a gunman with a silenced pistol shot Arsala Rahmani as he was sitting in his car at an intersection near Kabul University. Mr. Rahmani was a senior member of the Afghan peace council and a senator in parliament’s upper house. Rahmani was a former Taliban official who reconciled with the government. He was active in trying to set up formal talks with the insurgents. 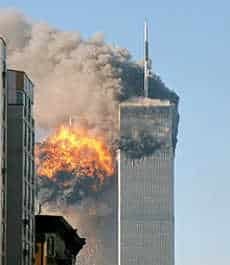 The United States identified the AlQaeda network based in and allied to the Taliban’s Islamic Emirate of Afghanistan as the perpetrators of the September 11 attacks in 2001 which killed up to 3,000 people. Today, the United Nations mission in Afghanistan has condemned today’s assassination of Maulawi Arsala Rahmani. The UN Assistance Mission in Afghanistan (UNAMA) sent its condolences to Mr. Rahmani’s family. UNAMA recognizes the hard work of Mr. Rahmani in promoting peace and reconciliation in Afghanistan since his appointment as a Senator in 2005. Rahmani’s killing follows last year’s assassination of former president Burhanuddin Rabbani, who was then serving as Chairman of the High Peace Council in Afghanistan. Mr. Rabbani was killed by a suicide bomber at his home in Kabul last September 2011. UNAMA is mandated to assist and support the government of Afghanistan in its state-building and development efforts, and coordinate and harmonise international assistance to the country. UNAMA has been in place since March 2002, when following the fall of the Taliban, the Bonn Agreement established an interim Government and prescribed the drafting of a new constitution and the holding of elections. In June 2011, US President Barack Obama announced a drawdown of 10,000 U.S. troops, by the end of 2011, with an additional 23,000 troops leaving by summer 2012. Currently, around 80,000 US troops are still in Afghanistan. Many other countries are also in Afghanistan, supporting the effort, training Afghans and fighting the Taliban. In the past year, a number of coalition troops, including several Australians and Americans, have been killed by Afghans they were training. This incident is putting obvious pressure on the handover to Afghans and the withdrawal of foreign troops, as Afghans protest, and President Obama, who stepped up the campaign, tries to decide what to do next. The Taliban, toppled in late 2001, has waged an insurgency against the Afghan administration and the international troops currently deployed in the country for several years.